Who Doesn't Want to Aging Like Beckham?  Home  Sport  Who Doesn't Want to Aging Like Beckham? In March 2016, Philips, the auction house of contemporary art, organized an exhibition entitled David Beckham: The Man. Many of Beckham's photos have been captured by famous photographers, including Annie Leibovitz, a legendary photographer who has often photographed celebrities. The portrait is part of the Beckham Photo exhibition ready for auction. The results have been allocated to the Unicef ​​program, the institution where Beckham has been named ambassador of sport since 2005. Exhibition curator Kathy Adler told Harper's Bazaar: "David Beckham is an icon of modern masculinity and the magnetism of photographers - attraction is everywhere - he is happy to be a teenage idol, spokesman of sport and ambassador of Unicefgoodwill. " Beckham is not only labeled as an icon of masculinity. Jason Basmajian, creative director at Gieves & Hawkes, revealed that Beckham's style gave the impression that the world of fashion was masculine, cool and accessible. The journalist Mark Simpson nicknamed this former footballer "Britain's biggest metrosexual". The nickname Simpson who made the stamp of the metrosexual man attached to Beckham. It all began in 1997. At that time, Beckham, who enjoyed the greatest popularity as a Manchester United player and England, was offered to appear in the advertising for hairdressers Brylcreem., A British Care Product hair that often collaborates with athletes. since 1940. When Beckham entered, the Brylcreem society was in a precarious state. Beckham's existence as a product model should save Brylcreem from bankruptcy. Beckham's remuneration as an advertising model for television and newspapers is £ 1 million. In the ad, Beckham's hair is rather long and blond. The color is not the color of the original hair. Beckham painted his hair on the advice of Victoria, his girlfriend who later joined the very popular group of girls, Spice Girls. It turns out that new hairstyles can bring food. That year, Beckham was not the best English footballer. But he has the potential to become the "face" of an English footballer. Roger Bennett, co-host of the English Premier League, told Vanity Fair: "The Premier League was born in 1990 and has a worldwide popularity, the league needs icons from England, David is a star with the best performances . " According to Tom Watt, the author of Beckham's autobiography, Both Feet on the Ground (2003), Brylcreem was the first thing outside Beckham's football, as well as his first bigger contract. After Brylcreem, Beckham has received several offers as an advertising model. Beckham's hair is different in each ad. When accepting Adidas ads in the year for example, Beckham's hairstyle was half bald. He chose to use the services of several hairdressers. In one year, he can change his hairstyle about four times. 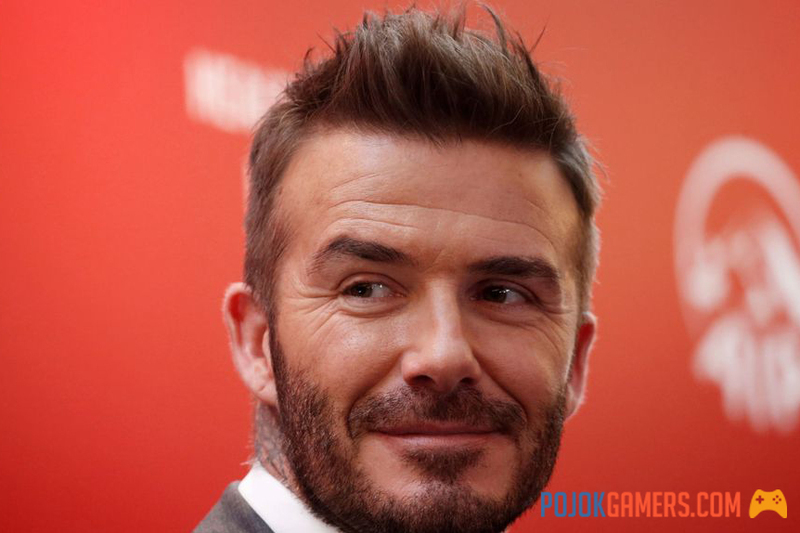 Every Beckham hairstyle immediately becomes a trend for men's hairstyles. In 2005, Beckham accepted an offer as an advertising template for Gilette. Forbes reported that Beckham had received $ 9 million over three years. At about the same time, Beckham accepted the offer as a Pepsi and Vodafone advertising model. The field of fashion also takes a look. The offer comes from the fashion brand Emporio Armani. Beckham has been invited to be a model of underwear. The product is in demand. Some stores in the UK have seen sales increase. Some increased by 40%, others by 150%.